The European Space Agency's fourth Automated Transfer Vehicle (ATV-4), also known as the "Albert Einstein," undocked from the aft port of the International Space Station's Zvezda service module on Monday (Oct. 28) at 3:55 a.m. CDT (0855 GMT). Expedition 37 flight engineers Luca Parmitano and Oleg Kotov, who together closed the hatches to the ATV-4 on Friday, monitored the automated departure from a control panel inside Zvezda, ready to take control of the process if needed. 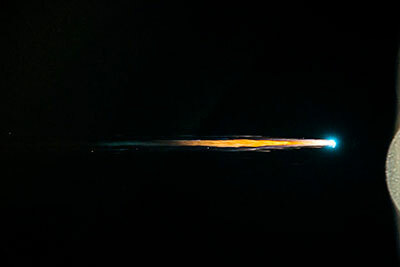 Meanwhile commander Fyodor Yurchikhin photographed the departing space freighter to capture imagery of its docking assembly and a set of sensors at the forward end of the spacecraft. 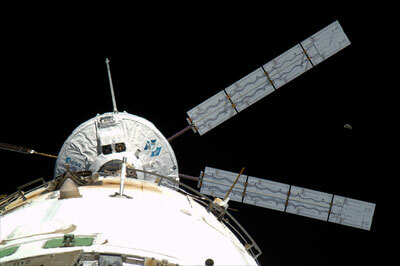 At the time of undocking, the station was orbiting about 260 miles above Kazakhstan. 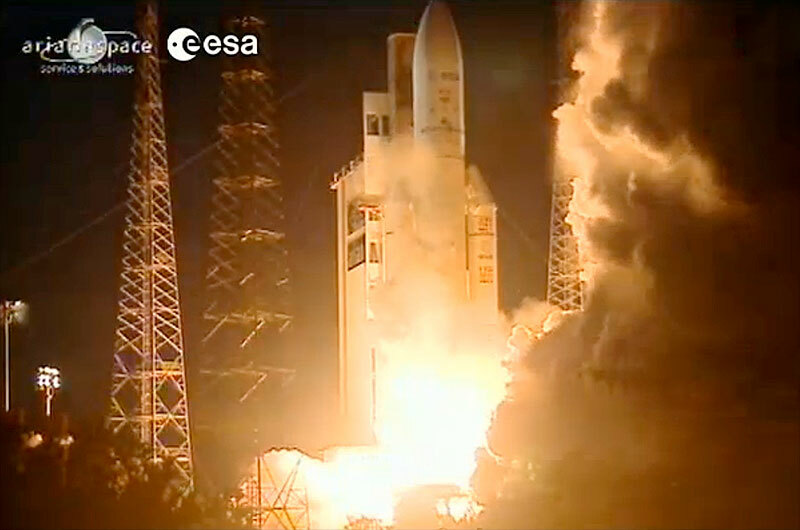 ATV-4, now filled with trash and unneeded items, fired its thrusters to back a safe distance away from the orbiting complex. An engine firing Saturday (Nov. 2) will send it into the Earth's atmosphere for a planned destructive re-entry over an uninhabited area of the southern Pacific Ocean. The "Albert Einstein," named in honor of the famed German-born theoretical physicist and icon of modern science, delivered more than 7 tons of food, fuel and supplies to the orbiting complex when it docked automatically on June 15. 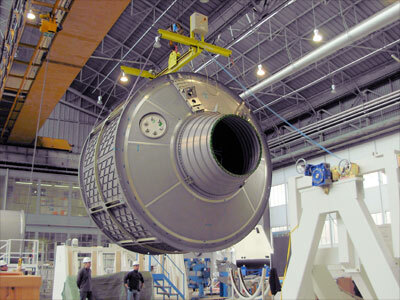 During its time at the station, the ATV-4 also provided an additional reboost capability for the complex, as flight controllers periodically commanded its engines to fire to adjust the station's orbit.